Last week HAMSTER Corporation promised updates to improve the ACA Neo Geo releases on the Nintendo Switch eShop. Poor colouring and sound synchronisation were key issues that were raised by fans, and the publisher gave itself the target of pushing out updates rather quickly. Your Switch should automatically download the updates while in Sleep mode. We had a quick whirl of Metal Slug 3 post-update and there has been an improvement to our eyes, with more vivid colours and improved sound. All told the game seems to be performing better on our unit at the moment, albeit not necessarily perfectly. If you have any of these games check out the update and let us know what you think. It's not just Nintendo putting out stuff before it's fully ready. Fair play to them for fixing it so quickly. If only everything else regarding Switch was so easy to fix. I'll check how NAM-1975 plays now once I get home. And I'm more inclined to getting more ACA titles if/when they arrive on Switch than I was on Monday. 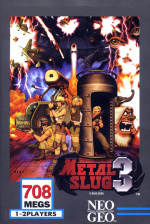 Is Metal Slug 3 actually available in EU Switch eShop now? Or when it will arrive? As I can't see it yet. 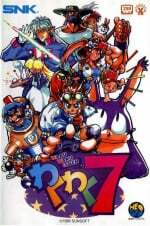 I think we only got 4 of these NeoGeo games available at the moment. I bought Metal Gear 3 as soon as it was released on the EU eshop. It did look very washed out. This update fixes the colors and they now look much more vibrant. A very quick turn around on that update. @BionicDodo Hmm strange. Will check again tonight. @SLIGEACH_EIRE Could be worse, Nintendo put out the WiiU and never fixed it until March 3rd 2017. Metal Slug 3 already looked much better than it did on original Xbox before update. It will be nice to see how it looks after update. i'm still waiting for update for wiiu to allow more 320 downloaded games. hate having to delete a game to download a game because Nintendo says we can only have X number of games. no its not a space issues I have a 2t HD half full. ive run out of icon holders on my honepage. here's hoping the Switch doesn't have same problem. I and the 20 other people that I know with a switch haven't had any problems. What fixes are needed on your switch? @Sm0k you sir have too much money and time on your hands to own and presumably play more than 320 downloaded games. Just wow! Also as a PSA to everyone, MS3 starts with a default screen filter "00" turned on. Personally "off" looks best to me, but remember to check through ALL them to find your personal preference, since I think the default one is terrible. @OneArmedGiant @SLIGEACH_EIRE. My only problems are that my Switch doesn't drive my car for me and make me breakfast. Apart from that it's fault free! Zero hardware issues for me and the 3 other people I know with one. I know that's a very small sample size but still I think the press have hyped up these hardware problems for clicks and shiz. Totally agree. Most problems are a very small percentage that have been over exaggerated. @Sm0k Damn I hate that too on the Vita. They probably thought that with the price of memory cards no one would bother buying their games, but even retail games take one "bubble". I hope the Switch is compulsive-buyers/reviewers proof. @Lilith93 Hehe true not many games, but it might be a caching issue or something on my Switch that I couldn't see more than 4 NeoGeo games on my Switch. Nice! 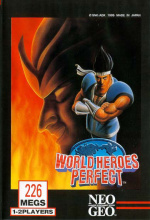 I'll pick up KoF and World Heroes. @SLIGEACH_EIRE Why whats wrong with your Switch? Mines working great, better than that junk box wii u with no games and a fisher price tablet with 5m range. The only thing wii u is good for is netflix for my 4 yr old. I'm not surprised a company that can't spell the word "released" had to patch errors in their initial released. @SLIGEACH_EIRE All consoles have launch issues, personally I think the PSP & 360 had it worse (the Wii U had a few hardware issues & a 1-2 hours update that led to a few thousand bricked consoles I believe). I appreciate you're still annoyed with Nintendo for how the Wii U was treated, not sure if spreading the love is constructive. Genuinely impressed by your tenacity though! Edit: Wondering if a patch from X-Hamster would have been more interesting (don't Google if you don't get the reference, NSFW). ok now that know there has been an update I will probably pick up metal slug. As long as they eventually work perfectly, that's great, but I would hope they keep tweaking them until they're just right. 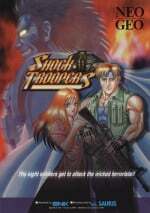 Can we have some non-Neo Geo games next please, especially Double Dragon and Bubble Bobble? The update downloaded for me last night. I noticed it before I knew the official patch notes. 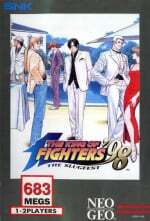 King of Fighters 98 is great! @SLIGEACH_EIRE What are you on about? Have you used one? We own two and several friends have one as well. Each and every one of us adores the thing and none have experienced any problems outside of one person who's joycon desyncs when he puts it under the coffee table. Every device has some issues at launch, I waited out at launch for both the GCN and Wii U only to come home with completely bum systems that wouldn't boot. Be careful not to blow typical accounts of launch struggles out of proportion. In fact, I'd refrain from sharing your perspective on the matter unless it's based on first hand experience. @DanteSolablood Well, I hope no console ever has it as bad as the 360. Remember the Game Informer survey claiming that over 50% of 360s died within a year and Microsoft didn't bother to dispute the number? In reality, it was probably closer to 30%, but that's still an absurdly high number for any device, especially a console (usually around 5% or less). Of course many of us either went through several RRODs or know someone who did and look at how successful the 360 was in the end. Launch issues do not define a console's legacy even in the most extreme. @ACK I think the main difference between the 360 & the Switch is that Nintendo was unlikely aware of the Joycon issue before the launch... I don't remember hearing many complaints during the roadshows. No console has to be defined by launch issues, but that's all about how the company deals with them... okay, Microsoft dealt with the 360 issues REALLY badly. Maybe I need to rethink things a little. @Menchi187 It's on Thursday now, same day as the releases. Much nicer, even when its starts you can tell the SNK screen is much brighter. 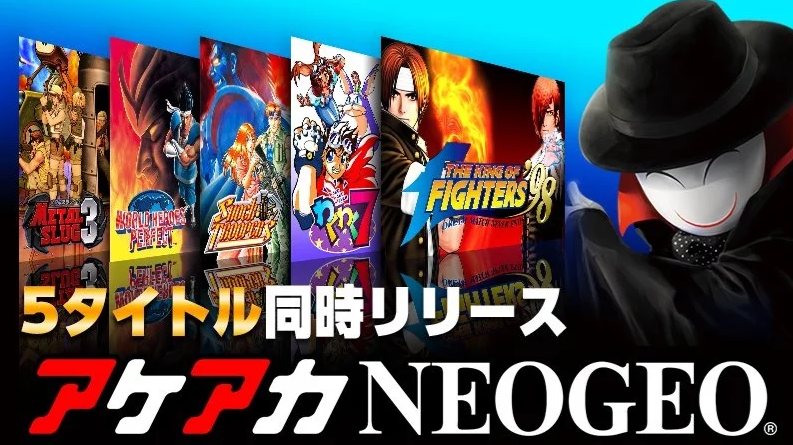 Wonder what lucky Neo Geo game/games get added tomorrow. I saw Metal Slug updated last night and the sound is marginally better.. but still delayed by just a quarter of a second or so. It's not much of a big deal since Metal Slug is a crazy shoot em up game, firing bullets every second makes the issue seem nonexistent. I meant Metal Slug.... Snake...Snake!...SNAKE!!!!!! Does anyone else have issue with how the switches notifications work. A few times I have switched it on and seen some notification about something been downloaded, but I keep missing the info about what, and then there seems to be no way of finding out what it was etc. @Menchi187 only just spotted this now! Yeah, off looks best to me too as the lines are crisp. I own the originals, MVS on cabinet. The blur filter is awful and I actually thought it was a terrible conversion/emulation. As it is, all the titles are great except for Slug 3 which runs with some frame rate issues. Other than that, they are great. Wish online play was an option, but one can dream!